It’s pretty grim, according to Steve Law’s report, Historical Society may ask voters for tax levy, in The Portland Tribune, and Sarah Mirk’s followup, State History Museum Will Run Out of Cash in 2011, Pitches Tax To Stay Afloat, in The Mercury’s Blogtown. Things are skeletal right now. Oregon Historical Society boss George Vogt says that Oregon ranks No. 50 in state support of its history museum. Not sure, but that sounds like dead last, unless they’re counting the likes of Guam, Puerto Rico, American Samoa, and Washington, D.C. in the rankings. The state of Oregon, strapped for funds like every other state, has basically thrown its hands up and surrendered. The Historical Society is so far down the list of its priorities, it’s probably looking up at the likes of funding for bicycle lanes on logging roads in the Tillamook Forest (where something called the Tillamook Burn once happened, but looks like that’s, well, history now). Vogt says the society will run out of cash next year. His solution? A five-year, $10 million levy on the November ballot that would add about $10 a year to the property-tax bill on a $200,000 home. The catch? It’s not a statewide levy — it’s just for Multnomah County. One of the undertold stories of Oregon politics is that greater Portland and the Willamette Valley have been paying a big share of the bills for most of the rest of the state for decades (urban Oregonians pay much more into the state coffers than they get back in services, and the “extra” money helps underwrite rural and small-town Oregon) but you rarely see it spelled out as baldly as this. The payoff: Multnomah County residents would get free admission to the museum, which ordinarily costs $11 for adults. Portlanders tend to believe in their cultural organizations, and in ordinary times this would probably stand a fair chance of passing. But these aren’t ordinary times, and I’m guessing this levy, if it hits the ballot, will face a steep uphill challenge. Thoughts on this? Hit that comment button, please. The picture at top, by Seattle photographer Tom Feher, is just one of his many images of Oaxaca, Mexico, on view Aug. 21-Sept. 24 at Portland’s Camerawork Gallery. There’ll be an artist’s reception 1-4 p.m. on Saturday the 21st. Feher’s exhibit, In the Navel of the Moon, is all about history, and the ways that history persists into the present, subtly and sometimes not so subtly shaping what we think of as contemporary life. Life, in all its aspects, is multilayered in Mexico generally, and especially so in Oaxaca. At its most superficial there is what the tourist sees: the color, the festivities, the unsettling chaos of the markets, streets and traffic. But it goes deeper than that. The countless churches built upon the remains of ancient temples; the religious services and celebrations, an admixture of the orthodox and the older native practices. City names, often a combination of the indigenous name with a post-conquest Saint’s name tacked on. Contemporary art frequently contains pre-Hispanic imagery. Even the food has its origin in the indigenous dishes that existed before the Spaniards came. It becomes evident that even as they live in an ever more contemporary world, there are people of today’s Mexico who still dream the dreams of the ancients and evidence it in their daily lives, as well as events that only thinly disguise their connection to rituals of pre-history. Ah, but then again, history: Who needs it, anyway? Intriguingly, Northeast Portland’s 23 Sandy Gallery has a show coming up in September that seems to dovetail in interesting ways with Feher’s exhibit at Camerawork. Portland photographer Stewart Harvey‘s I Am What I Need To Be, on view Sept. 3-18, is subtitled A Photo Essay on the Odyssey of Identity in New Orleans. It’s about the nature of creativity in the Crescent City, which seems to have a lot to do not just with the whims and brainstorms of young creatives but more importantly with the ways that the past weaves into the present and the future. In other words: History lives. … the Crescent City seems more enamored by cultural movements than the rabid individuals who create them. I was charmed by the willingness of New Orleanians to not only give sanctuary to the expressive oddball, but to provide a platform for their development. 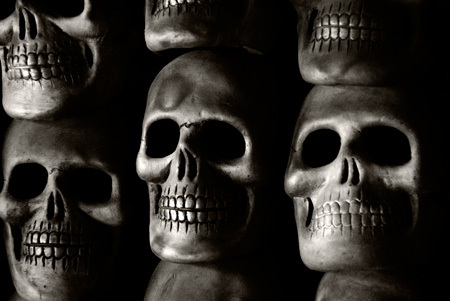 Like Oaxaca, New Orleans has a deep and long-running history with bones: See Harvey’s photograph below. Unlike Oregon, it seems to think that history has a place in the present and future. Tom Fehrer, skulls, from “In the Navel of the Moon” at Camerwork Gallery, Portland. 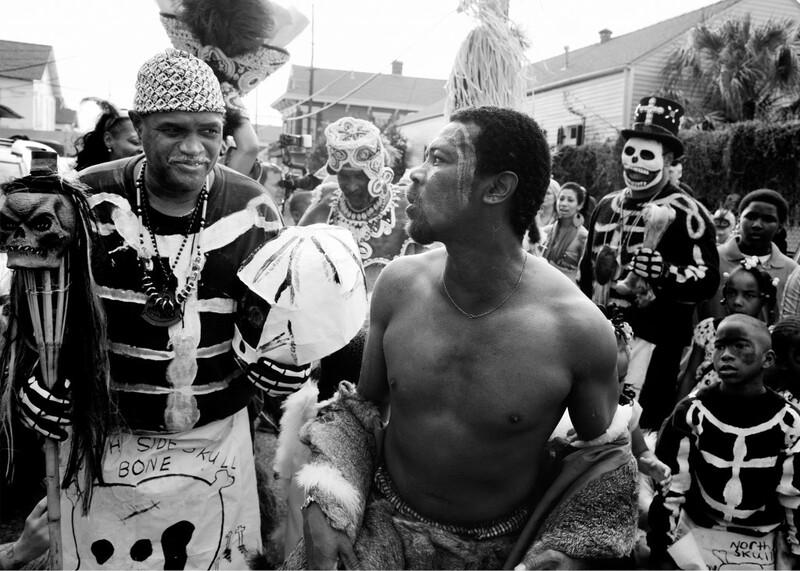 Stewart Harvey photographs skeletal revelry in New Orleans, at 23 Sandy Gallery in September. 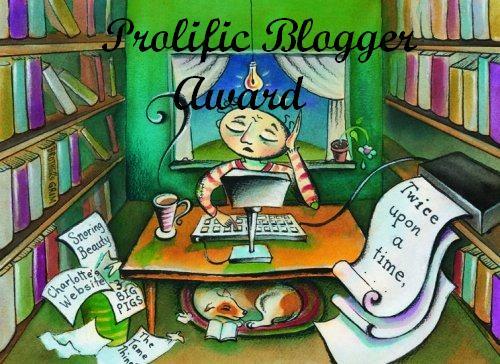 It is a truth universally acknowledged that the world is overflowing with causes deserving of our support. It is a truth personally declared that Mr. Scatter, on occasion, will spotlight certain of these causes in the hope that his friends and readers will give them a second look. Two such possibilities have presented themselves of late. The first arrived with news, via Lillian Pitt, that the fine Northwest poet, visual artist and thinker Gail Tremblay needs as many helping hands as she can get. Tremblay, a prominent figure in contemporary Native American art circles and an artist who has been exceptionally generous with her own time and talent, has dealt for several years with a rare disease called lipedema. The condition causes a great deal of pain and makes it difficult for her to handle basic daily tasks. Surgical procedures can help immensely, but her American insurance plan has denied coverage. Without insurance, treatment in the U.S. would cost $30,000 a week or more. She can get four weeks of treatment in Germany for between $12,000 and $19,000 plus travel expenses, and has been accepted for treatment to begin Oct. 5. She’s paid 4,000 Euros on account, but because she’s needed to pay caregivers for the past three years, her savings are wiped out. Any sort of help, of course, is welcome. But this might be the ideal time to pick up a good piece of Gail Tremblay art. (The piece at top is one of her series of paper weavings inspired by traditional basketry, the basket in the inset photo is made of old film stock from Hollywood depictions of Indian life.) She’s set aside several notable pieces — ones that have traveled the country in various exhibitions — for sale to help pay for her surgery, including some from her fascinating series of film baskets. You can learn more about available pieces and prices here. Tremblay, who lives in Olympia, Wash., and teaches at The Evergreen State College, is represented in Portland by Froelick Gallery. Opportunity No. 2 comes via Dmae Roberts, the Portland playwright and Peabody Award-winning radio producer, who hosts and produces the weekly arts show Stage and Studio at 11 a.m. Tuesdays on listener-sponsored radio KBOO 90.7 FM. Mr. Scatter spent a couple of hours at Dmae’s studio/office the other day, taping comments for her upcoming “Oregon Treasures” segment on Artists Repertory Theatre‘s Allen Nause (it’ll air Aug. 17) and in the process talking about her hopes for Stage and Studio. In a nutshell, Roberts would like to turn Stage and Studio into an online hub and radio show covering arts in the Pacific Northwest. She’s made a good beginning, and has the chops and smarts to follow through. As print sources of arts news and comment become slimmer and slimmer, we need as many good alternative sources as we can get. You can read about her project here. To get the project kick-started (it’s independent from KBOO), Roberts is trying to raise $6,000 in donations. She has until Aug. 26 to hit her target, and it’s all or nothing: If she doesn’t get the whole $6,000 in pledges, she won’t take any of it. You can make your pledge here. Think of it as consumer-funded media. And of course, anything you give is tax-deductible. 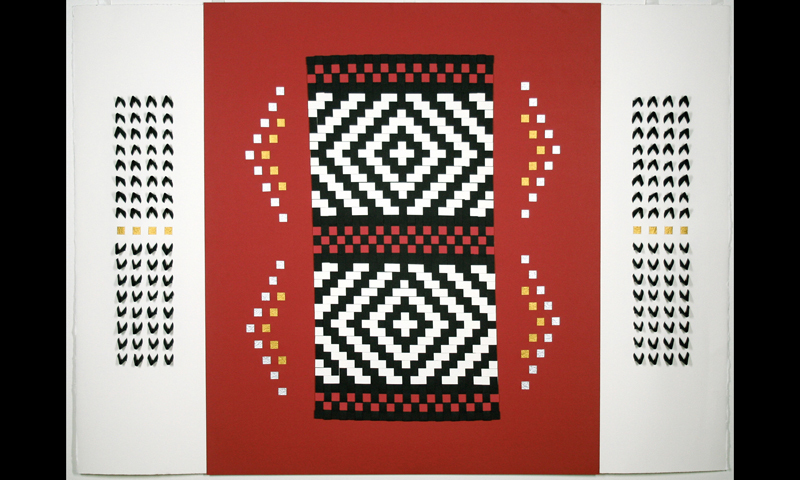 Gail Tremblay, “Blanket Dance,” 2005, 3′ x 4′, Arches black and white cover stock and Strathmore Red and gold and silver Japanese. Available through the Stonington Gallery, Seattle. 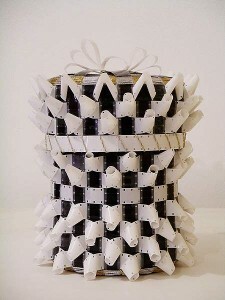 Gail Tremblay, “Indian Princess in a White Dress,” 2006, 9 x 7 x 7, 16 mm film, metallic braid. 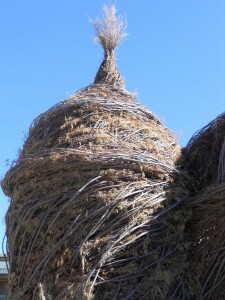 Included in the exhibit “Reimagining the Distaff Toolkit,” traveling throughout the United States until April 2012. Dmae Roberts in the radio booth. 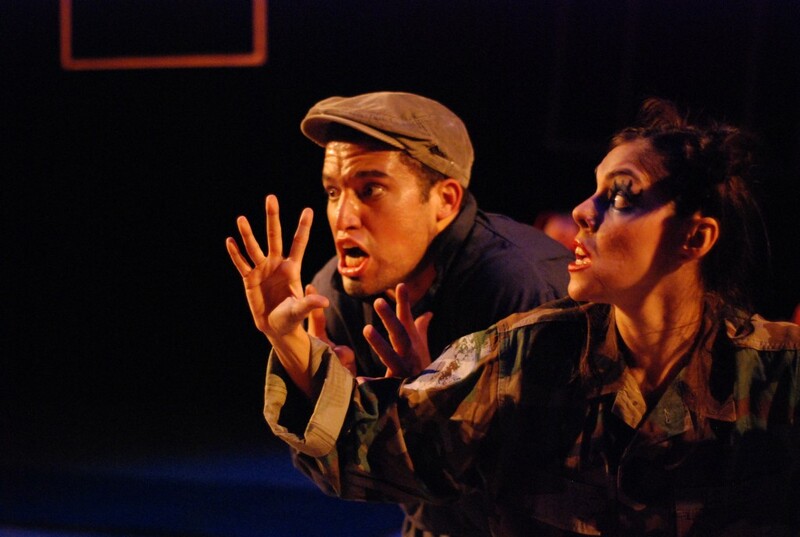 From Dmae Roberts’ “Stage and Studio” Web site. You’re stuck with me. Sorry about that, but it can’t be helped. Mr. Scatter had a wee bit of oral surgery and he’s either high or sleeping. Either condition would produce an interesting blog post, but it ain’t happening. Like that wasn’t enough, the Small Large Smelly Boy came home from school smelling like squid. Something about biology. He was especially happy to report that he got to pop the eyeballs. 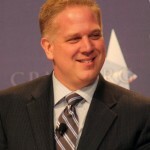 When Glenn Beck sees his foot, he inserts it in his mouth, and then brags about the taste. 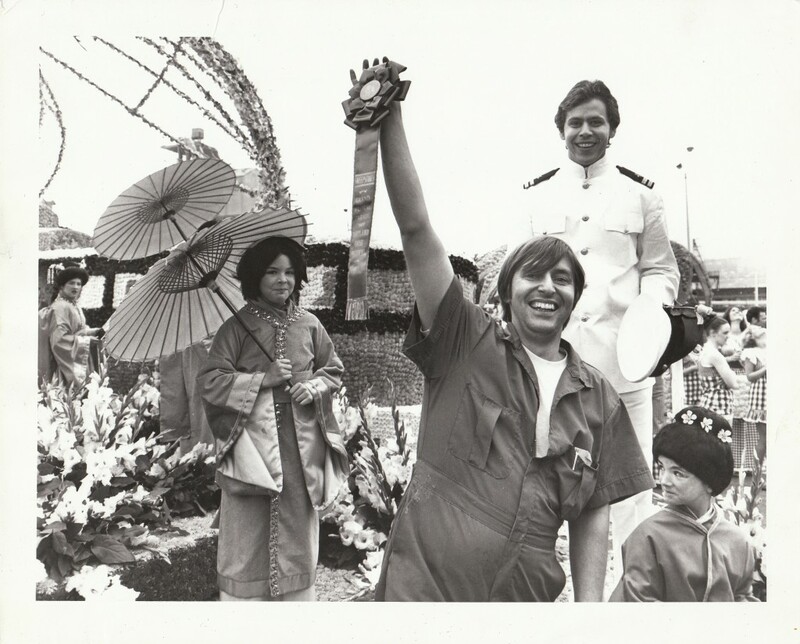 Mr. Scatter hesitates to write about the ubiquitous Mr. Beck. He looks back fondly on his days of innocence, just last summer, when he was able to ask, with all seriousness, “Who’s Glenn Beck?” How he’d managed to cocoon himself for so long he doesn’t know, but he misses those warm and fuzzy days. 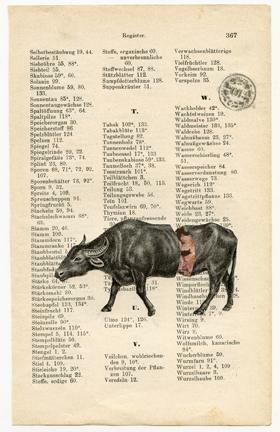 Two recent events, conjoined by accident, have brought Mr. Beck unfortunately to mind. 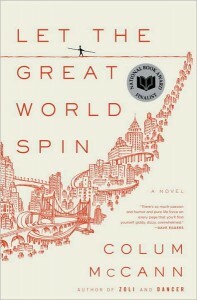 First, Mr. Scatter attended his monthly book group, where the topic of discussion was Let the Great World Spin, last year’s National Book Award-winning novel by Colum McCann, in which Petit’s act of acrobatic bravado is the springboard to a grand contemplation of chance, hope and grace. This afternoon, while shuffling idly through the File of Unfinished and Rejected Posts — it’s true, not everything we write ends up in virtual print — we found this piece from last August, initially rejected on the grounds that maybe it was a little off-topic and too much of a downer. But in light of our continuing national baring of the teeth and difficulties in coming up with a simple, rational health-care plan, let alone any apparent impulse to talk civilly and sanely with one another across the artificial divide of our go-for-the-jugular political discourse, we’re publishing it now. After all, arts and culture can’t exist without an honest sense of shared responsibility and experience, and that is what this seaside idyll is about. Read on, and argue with it if you wish. Newport, Oregon, has two lighthouses. The original, on the south side of town and decommissioned for most of its 138 years, has been turned into an agreeably nostalgic tourist lure complete with resident ghost story. The larger and younger lighthouse (by two years) has been working continuously since the day it was completed. This light, its beacon visible for miles out to sea, stands 93 feet tall on a narrow peninsula at the city’s northern edge. So while I enjoy outside glimpses of the southside Yaquina Bay Lighthouse (active from 1871 to 1874, brought to light again in 1996, haunted since the city’s promoters realized the commercial possibilities) I haven’t taken the tour in several years. It’s been a while since I’ve visited the north side lighthouse, too (although I can see it as I’m writing this from the sands of Nye Beach), but for different reasons. 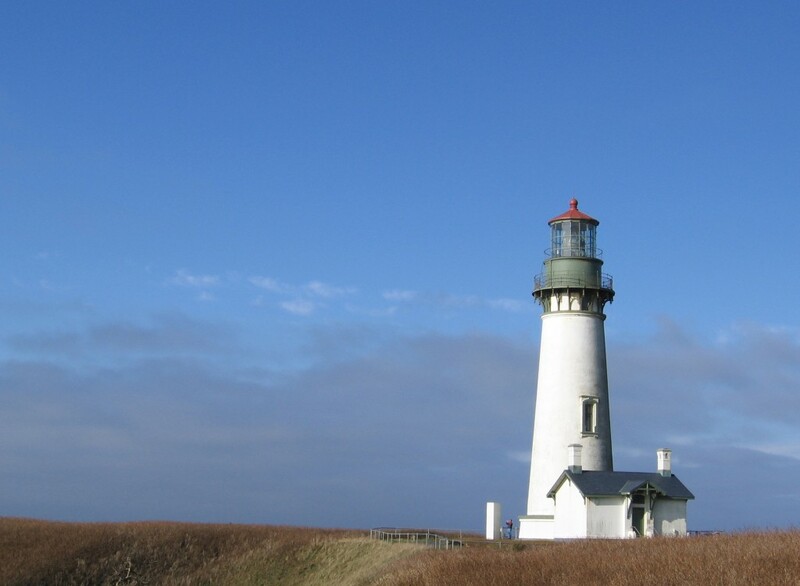 I’ve always liked this lighthouse — it’s called simply the Yaquina Head Lighthouse, for the rock on which it stands — and for many years I made a point of calling on it whenever I was in the vicinity. A twisty, usually lonely drive west from U.S. 101, past the concave of an old rock quarry, to the spare grounds around the tower. Not too many tourists. Not much of anybody; the few besides me mostly people who had actual work to do. On almost any day the wind was stiff, and on stormy days it was enough to almost knock you down. I like standing against that kind of force, feeling the swift air push against my chest and ripple in unseen waves around me. It’s challenging yet also somehow calming. It re-sets my rhythm to the rhythm around me. Somewhere along the line I stopped visiting.